What is Erased in the Quantum Erasure? In this paper, we re-examine a series of gedanken welcher Weg (WW) experiments introduced by Scully, Englert and Walther that contain the essential ideas underlying the quantum eraser. For this purpose we use the Bohm model which gives a sharp picture of the behaviour of the atoms involved in these experiments. 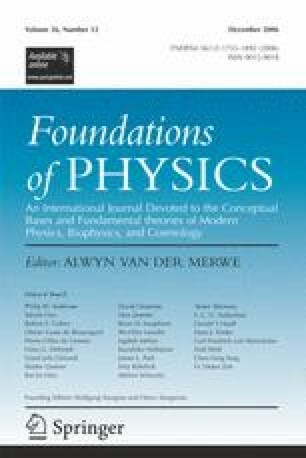 This model supports the thesis that interference disappears in such WW experiments, even though the centre of mass wave function remains coherent throughout the experiment. It also shows exactly what it means to say ‘that the interference can be restored by manipulating the WW detectors long after the atoms have passed’. It does not support Wheeler’s notion that ‘the past is undefined and undefinable without the observation (in the present)’.